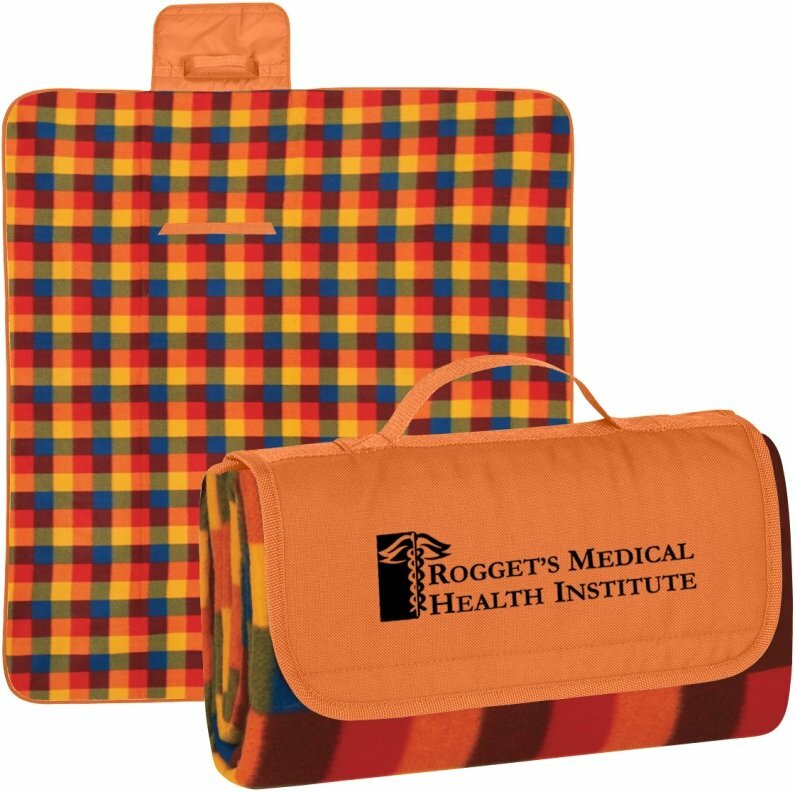 Get your logo on plaid picnic style Custom Printed Blankets. Apps are logo events, company picnics, promotional items. An outside liner made from water resistant Polyethylene. Handle is attached for easy transport.13 Blanket Colors. Overall size of the promotional blanket is 52" w x 47" h.
Price includes one color imprint front 6 1/2" w x 2 1/4" h.
Custom embroidery also available at extra charge.